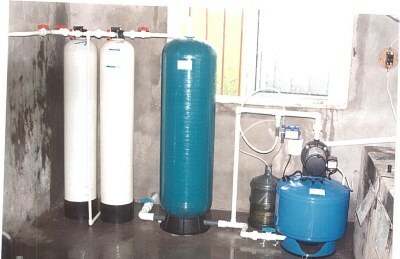 The system consists of 2 x 1 cubic foot filters connected in series, the first filter can contain either a sediment removal media known as "Filter Ag" or an iron removal media called "Birm", for this, influent water quality has to be of the following quality: more than 10% dissolved oxygen, pH must be higher than 6. 5 and chlorination should be minimized. 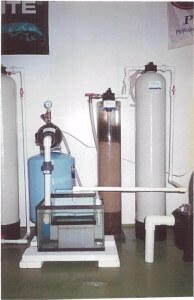 Both filters contain 1 cubic foot of media and a manual 3 position valve, backwash, service and bypass. The backwash or waste line has a flow control ball valve. We also install another bypass valve so that in the event of maintenance, owner can still use unfiltered water.